I'm pretty sure I've never done one of my favorites post except on Friday's. And, not sure why, but I'm breaking that habit this week and bringing one your way today. But, first, let me say a word to all my blogging friends............I am so confused by all the changes taking place with Blogger and I imagine you are as well. I am most upset about "the no reply blogger" and not being able to receive my comments through email. Surely, surely, this is NOT permanent. Guess we'll all deal with it but it sure is aggravating! Okay, now with that out of the way, let me share a few of my latest favorites with you. I cannot believe that I have not shared this before now as this has been a favorite of mine for the last several years. I have made Monkey Bread from scratch and I promise you, this is every bit as good and it's so quick and easy. Just pop in the microwave straight from the freezer and in a matter of minutes you have ooey, gooey, cinnamon goodness. I usually serve it with some kind of egg casserole when we have company. The only thing it is lacking is pecans but that's very easy to fix. Just sprinkle some chopped pecans on top once you turn it out on a plate after it is warmed. I get mine in the freezer section at Wal-Mart where frozen rolls are located. I really don't use cookbooks much anymore due to the ease of finding recipes on the internet. But, every once in a while a cookbook comes out that I feel I just must have. 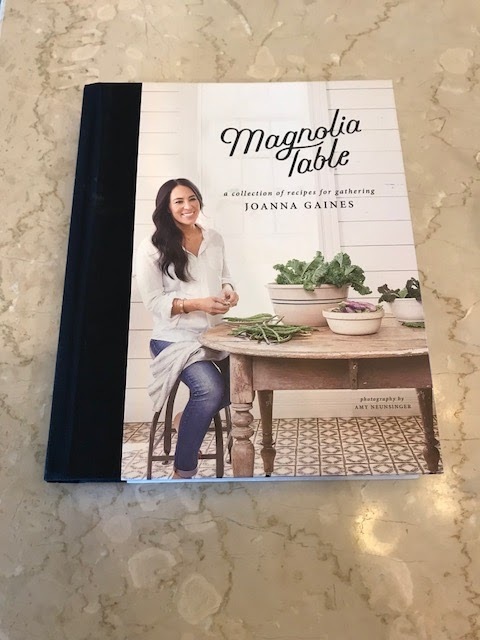 That was the case of this one, Magnolia Table by JoAnna Gaines of the famed "Fixer Upper" duo. It is so fun to browse through and her famous biscuit recipe is in here. I think it would make a lovely gift as well. 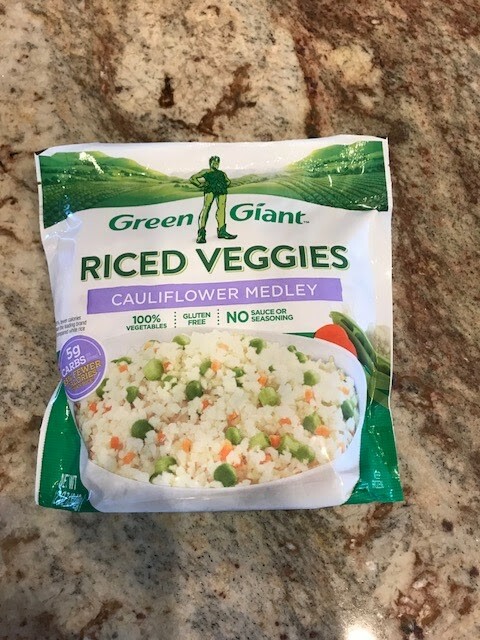 I've been hearing about the riced veggies and decided to give these a whirl a couple of weeks ago. I definitely give these my stamp of approval. AND, this entire bag ONLY has 100 calories and I could only eat about 2/3 of the bag along with some crackers for lunch. It needed salt and pepper for my seasoning taste but it will become a regular on my lunch menu for sure. One of the gals that was on our NYC trip shared this "jewel" with us (her eye doctor had told her about them) and I think all of us went right out and bought them. Dry eyes seem to be an epidemic and I've had them for about 10 years and was prescribed terribly expensive drops, I mean EXPENSIVE!!!! 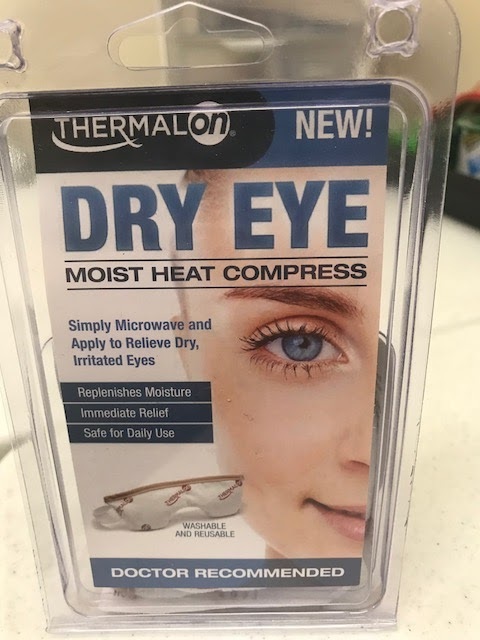 Well, I have been using this moist heat compress on my eyes for a week and have not used any drops whatsoever and my eyes are totally comfortable. I am just shocked that all eye care professionals do not tell patients about these. I mean, really!!!! These are $7.99 at our local Walgreens and $9.99 on Amazon. Makes one wonder about the kickbacks that doctors likely get when they prescribe certain drugs. It's all I can figure out as to why they would not all be pushing this. I have what the doctor has called severe dry eye and so far this has kept it under control without the use of Retasis. So, all you dry eye folks, run out and get yourself some of these! And, I forgot to mention how good this feels, sort of like a spa treatment. 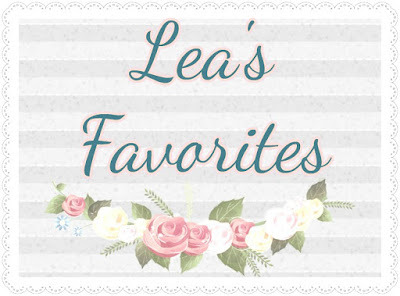 So, there you have it, the latest edition of "Lea's Favorites" on a Wednesday! I use eye ointment at night and sleep with a mask. This helps my dry eye a lot. I have been into the riced veggies for a while now and one pictured here is one of my favorite varieties. They also have "noodles" or "pasta" made from veggies as well. Birdseye is always coming out with some new and healthy choices! Let me know if this comment comes through as "noreply", will you please? Thanks! Debby, I'm replying from your comment as my comments are not coming through my email at this time, so can't tell you if it's coming through as no reply. It is so aggravating but hopefully short lived! I haven’t noticed the change in Blogger, but I know you are not the only one experiencing the problem. I am sure they will fix it. A few years ago there was an “epidemic” problem and it was soon resolved (can’t remember exactly what it was). One of my summer goals is to make JoJo’s biscuits! I was actually looking through her cookbook last night for some summer meal inspiration! I will definitely be trying the rice and veggies! Glad you’re back!! I hope they fix it soon. Now I have to comment on my blog first, check the box to send reply to my email. Of course they are all now no-reply. So I go in and check on the name which gives you their email in most cases and answer the comment from there. I enjoyed seeing your favorite things and I think I would enjoy Joanna's book. 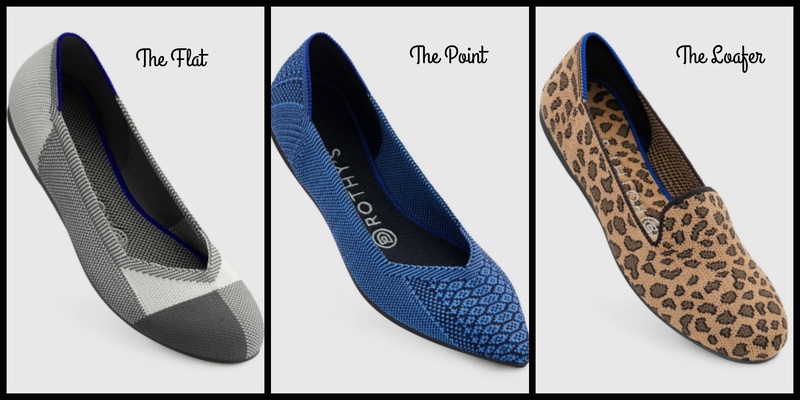 Let us know if the shoes are SUPER comfortable! If they are, you can send me the Refer A Friend and we will both get a discount :-) I hope blogger gets these little things fixed. I love Joanna, and have requested her book from the library. Good morning, dear Lea. I read your post yesterday and started to comment and then the phone rang and lost track. I'm on my way to Wmart to buy the Monkey Bread because my #1 and Adorable Jonathon are coming for the weekend. I have a terrible time finding shoes that are comfy. I keep debating about purchasing Tieks because they are also pricey. Also, I'm going to order the dry eye compresses from Amazon. Thanks for the tip and I hope that you have a wonderful weekend. Well, I sure hope your WM has the monkey bread because you will not be disappointed. I wore Taos shoes on my NY trip and they were the ultimate in comfort and very stylish too. I do love the dry eye compress. 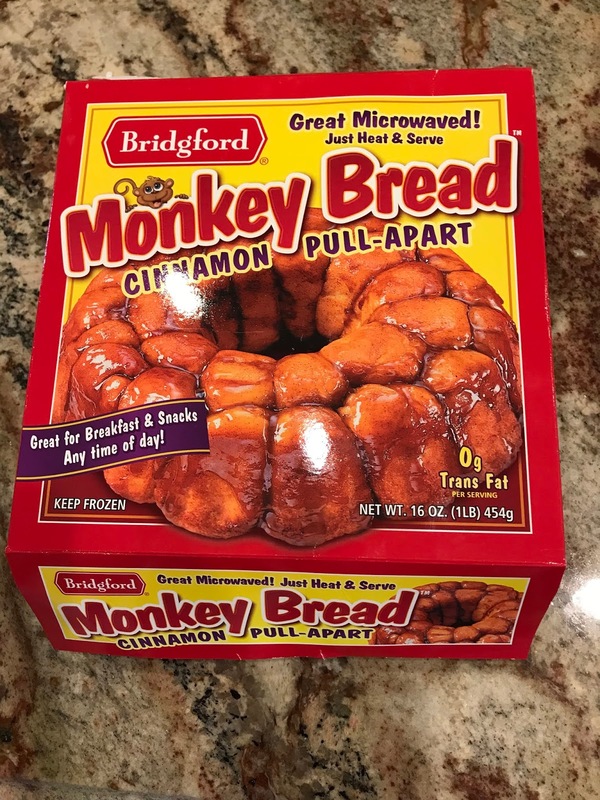 I love to make monkey bread, so I need to check out that frozen version. Sounds delicious! Yes,this whole mess with Blogger is so aggravating and I'm just hoping that folks are getting my replies through this means. I'll be looking for the riced veggies pack. I sometimes make stir fried cauliflower rice and eat on it for lunch during the week. Oh that monkey bread looks heavenly. I've been seeing those shoes pop up on Facebook. I'm so happy you like them. I have a feeling you're right about the dry eye kickback situation. I just might check into that thingy. I have some drops, I just never use them. HA! I really like those leopard print shoes. I'm with you on the Blogger changes. Not a huge fan of it all, especially not receiving comments in my email.